«Drinking makes such fools of people» illustrated quotation. Funny, free quote pictures for Facebook, Twitter, LinkedIn, Reddit, Pinterest and other social networks. 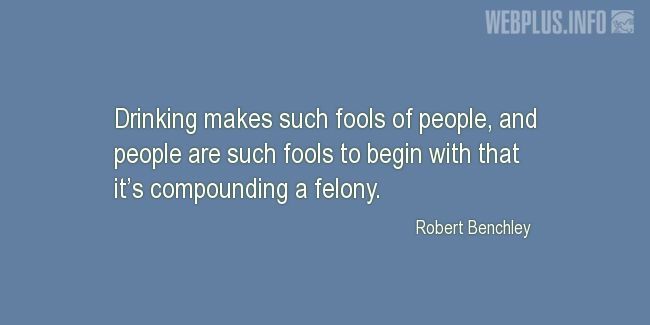 Drinking makes such fools of people, and people are such fools to begin with that it’s compounding a felony.